UK: Iberdrola subsidiary ScottishPower will generate 100% of its electricity with wind power, following the sale of its remaining gas plants to a subsidiary of Drax Group. It has also sold its remaining pumped storage and hydro facilities in the UK to Drax Smart Generation, a unit of energy company Drax Group. The energy company, part of Spanish firm Iberdrola, sold the assets for a total cash consideration of £702 million (€796 million). The portfolio has a combined capacity of 2.57GW. 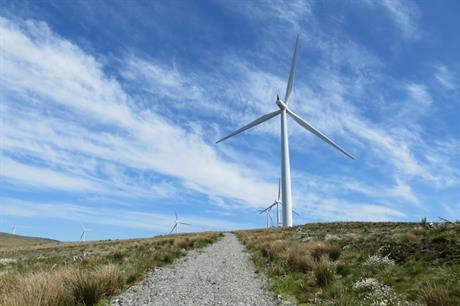 Currently, ScottishPower has 2.3GW of onshore wind capacity either in operation or under construction in the UK, according to Windpower Intelligence, the research and data division of Windpower Monthly. It has 3.6GW of offshore wind projects in various stages of development, including the 714MW East Anglia One project, which is being built off the east coast of England. The company added that it has a 3GW-plus development pipeline. It claims it is now the first vertically integrated UK energy company to exit coal and gas generation. ScottishPower CEO Keith Anderson said: "From today we can focus solely on making energy generation cheaper, cutting carbon quicker, building smart grids and connecting customers to a renewable electric future for transportation and heating." ScottishPower is investing £5.2 billion (€5.9 billion) in renewables, grid networks and smart technology for energy customers. Meanwhile, parent company Iberdrola aims to be carbon neutral by mid-century. Iberdrola CEO Ignacio Galán, said: "The sale of these generation assets is consistent with our strategy." Environmental pressure group Greenpeace head of energy Kate Blagojevic, added: "Big utilities across Europe have been shedding their dirty fossil fuel infrastructure because it makes economic and environmental sense. This move by ScottishPower shows that the same maths adds up in the UK too." Drax, meanwhile, expects its newly acquired 2.5GW portfolio of gas, pumped storage and hydro projects will generate earnings before interest, tax, depreciation and amortisation (Ebitda) of £90-110 million, and gross profits of £155-175 million in 2019.